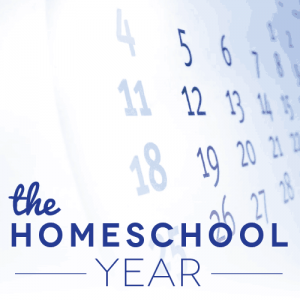 Does a homeschool year look like a school year? Yes. No. Maybe. Sometimes. New homeschoolers and non-homeschoolers frequently wonder about whether the “homeschool year” follows or needs to follow the traditional calendar used by most public and private schools in the United States or if they can create their own homeschool calendar. Long-term homeschoolers frequently find their answer to that question changes as their children get older. Casual observers of homeschooling might think “of course” homeschooling has to follow a school calendar in order to be legitimate and sufficient. First, homeschoolers definitely don’t need to follow a school calendar that is marked by “back to school” in August or September, winter holidays in December, spring break, and a big summer vacation. In some states, homeschoolers who are legally required to provide notification to local or state authorities may need to make note of legal deadlines at a certain time of year. In all but the paperwork sense, though, this does not mean the kids are confined to learning only on a specific schedule. For instance, in Virginia, those who homeschool under the Home Instruction Statute submit a notice of intent to homeschool annually by August 15. (Your state may not have this requirement or might have a different date). While this paperwork may contain some description of the upcoming year’s anticipated studies, there may not actually be a clear line of demarcation between “last year” and “this year” in the kids’ learning. A child who has been learning about the Civil War might read straight on through the summer and into the fall. A kid in the middle of a math curriculum can keep doing the next chapter. The parent’s paperwork can still be an accurate projection of the family’s learning plans, but it might be seamless in practice for the young learners. Whether your state requires annual paperwork on a certain date or not, as a homeschooler, you can decide when to do what. You can decide when or whether to take breaks and when or if to specify structured formal learning during certain months or seasons. You can also change your mind. 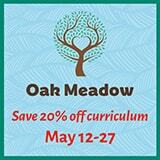 You can also decide on a more holistic approach, encouraging a year-round learning lifestyle. The path of least resistance leads many homeschoolers to follow the same calendar as the public school in their community. This feels familiar and provides a comfortable framework that works for a lot of people. Family travel and vacation coordinate well with other family members and friends who vacation in the summer, and expectations are met to buckle down and embark on a “school” schedule September through May. This school calendar is ingrained in society in most of the United States, despite some moves toward year-round schools in some communities. This means that a family homeschooling on this schedule will at least roughly follow the same schedule as their neighbors, which facilitates neighborhood play. It’s also handy for something that is being seen more and more — the family that has some kids attending public school and some kids learning at home. It’s just easier in that circumstance to keep everyone on the same academic calendar. Related to this is the fact that most extracurricular activities for kids in the United States are coordinated with the traditional public school calendar. Soccer clubs and theater groups plan day-time camps during the summer and school breaks; they schedule practices and rehearsals as after-school activities during the regular school year. They reconfigure their classes and teams between spring and fall. This affects everything from car pools, to dinner, to study time. 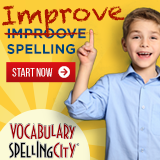 Yes, in cities, there are some homeschool-specific extracurricular activities, especially for the younger ages at introductory levels, but in general, homeschooled kids are attending a lot of karate and dance and scouts with kids who go to school, and the presumption is that the school calendar prevails. Many homeschool families find this means it’s simply easier to go with the flow. Families who participate in homeschool co-ops will most often organize their co-ops around the traditionally expected academic year. If you participate in a co-op, you’ll probably find yourself with that “back to school” sense in September, a break at Thanksgiving and during mid-winter, a spring break, and a long summer break. However, even among homeschoolers who follow the school calendar because of logistics or a co-op, a lot of flexibility can come into play. It’s common for homeschoolers to start their “school year” a few weeks earlier or later, to take longer or shorter breaks during mid-winter, or to create a spring break week that works best for their individual plans–even if it might mean missing a scouts meeting or a choir practice. Homeschoolers will tell you, in fact, that this flexibility is a primary advantage of homeschooling–to be able to plan travel, sightseeing, and museum visits when crowds are smaller and employers have fewer people leaving the office for vacation. Homeschooling style is another factor in figuring out your homeschool year. Homeschoolers who follow a precise curriculum may map out a calendar that specifies when each chapter in each subject should be covered. That kind of calendar may even be laid out for you by the curriculum provider. Anna from Learn Like A Mom! This is a great peek into how things run for those of us that taught in traditional schools that are transitioning to home education for our own kids! Thank you!